Don’t tell Christopher James Lees that he’s entered into some beauty contest. He joking, of course, but he is also summing up his conducting appearance Saturday, Oct. 15 with the New Bedford Symphony Orchestra with a certain accuracy. Lees will be the first of four conductor finalists for the permanent job of replacing maestro David MacKenzie, who retired in the spring after a fruitful decade as the leader of the NBSO. The four finalists — Lees will be followed by David Amado (Nov. 12), Yaniv Dinur (Jan. 21), and Dirk Meyer (Feb. 18) — will all conduct rehearsals, meet with board and community members, and generally get familiar with the lie of the land during their performance week. As far as the upbeat Lees is concerned, it can’t happen fast enough. Lees is already a busy man — “and looking forward to getting even busier,” he’s quick to point out. He lives in North Carolina with his wife, soprano Lindsay Kesselman, and his son Rowan. In addition to serving as assistant professor at the University of North Carolina School of the Arts, and as music director of the symphony there, he has recently been appointed associate conductor at the Charlotte Symphony. Lees was a Dudamel conducting fellow with the Los Angeles Philharmonic, and a Benjamin Zander fellow with the Boston Philharmonic. A graduate with multiple degrees from the University of Michigan, Lees counts the esteemed conductors Robert Spano and Larry Rachleff (of the Rhode Island Philharmonic) as mentors. Lees has a long and impressive list of opera and orchestral conducting credits — Aspen, Los Angeles, Detroit, Atlantic, London Philharmonia and many others — and a strong background not only in opera but in contemporary music as well. 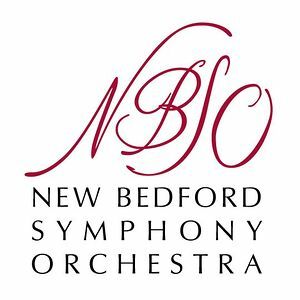 His program with the NBSO includes Adam Schoenberg’s “Finding Rothko” — a brilliant, attractive tone poem based on four paintings by the American abstract expressionist — the Grieg piano concerto, with soloist Alexander Schimpf, and Dvorak’s Symphony No. 8. One week of rehearsals, meetings, lunches and tours will only be the beginning of a relationship, but Lees is already fully aware of the important presence of the NBSO to the city and to the South Coast in general. Especially the education efforts, spearheaded by director Terry Wolkowicz. Lees has had just one week in New Bedford so far — back in November as the search committee was narrowing its focus down to the four finalists. “The meetings we’ve already had have been short, but intense. Not only with the search committee, but in the community as well,” he said. “In the end, a conductor’s relationship is with the community. A good relationship has to make sense. It has to be intellectual, thoughtful, but there has to be a shared emotion as well, shared from the podium to the stage and to the house as well. If it clicks, you’ll be able to feel it.